A previously healthy 12-month-old male was brought to the Emergency Department by his parents 20 minutes after ingesting a laundry detergent pod. The patient’s mother reported finding the child with pieces of the lining of an ALL Mighty Pacs detergent pod in his mouth. She removed the pieces and noted the packet was empty of liquid. At that point, the child started gagging and vomiting “almost immediately.” En route to the ED the patient had 2-3 more episodes of clear emesis. On arrival, he continued to have non-bloody, non-bilious emesis and dry heaves. Vitals were within normal limits with oxygen saturations in the mid 90s. On exam, the child was noted to have a hoarse voice and was mildly somnolent but easily arousable. He was drooling and crying in pain with swallowing, but his oropharynx was otherwise clear. Stridor was noted as well as suprasternal, substernal and supraclavicular retractions. The child was given Zofran, a 20cc/kg fluid bolus and decadron. ENT was consulted for increasing stridor and upper airway symptoms. The patient underwent nasopharyngeal scope at beside and was found to have mild vocal cord edema. He was taken emergently to the OR for definitive airway and bronchoscope. GI was also consulted for endoscopy. Laundry detergent “pods” or “packets” are small, often colorful, dissolvable packs containing concentrated laundry detergent. These laundry capsules have been in Europe since 2001, but were introduced to United States markets in 2010. Laundry pods have been identified as a threat to pediatric patients who are often attracted to the candy-like appearance of the pods. The most common route of toxicity is via ingestion in patients younger than 5 years of age. Recently, however, teenagers have become a significant percentage of the patient population via the “Tide Pod Challenge,” a viral, social-media campaign that dares teens to eat the pods. Detergent pods are often packaged in soft linings that consist of a water-soluble polyvinyl alcohol membrane that easily dissolves when exposed to saliva or moist skin. The liquid mixture inside is usually composed of an anionic and a nonionic detergent as well as a cationic surfactant. All contain irritants and some brands also contain alkaline substances. The alkaline nature of detergent pods can cause inflammation and mucosal destruction in the oropharynx, larynx and esophagus. Ingestion of detergent pods is associated with more severe symptoms than traditional laundry detergent. One explanation for this is the concentrated nature of the detergent pack and the ingredients, which may include propylene glycol and ethoxylated alcohols. Propylene glycol is found in great proportion in detergent packets than in typical detergent formulations. It is not clear exactly how detergent pods cause injury, but there are several explanations. When ingested, propylene glycol is metabolized by the liver to form lactate, acetate and pyruvate. The increased lactate results in a metabolic acidosis. The drug is excreted in the urine, but at higher doses of propylene glycol the renal tubules ability to secrete the drug is impaired. In children, propylene glycol remains in the blood longer than in adults, which results in more toxic effects, such as renal failure and CNS depression. Another important ingredient in laundry pods is ethoxylated alcohols, which can cause sedative effects. Lethargy is a unique feature of pod ingestion that is not seen with less concentrated detergent formulations. In the case of any suspected ingestion local poison control should be contacted for advice. Management efforts should initially focus on stabilizing airway, breathing and circulation. If eyes are involved, copious irrigation should begin as soon as possible, as delayed irrigation may be associated with increased morbidity, including burns. Any contaminated clothing should be removed. Activated charcoal, whole bowel irrigation, or gastric lavage is not indicated in the treatment of alkaline ingestions such as detergents. Charcoal and whole bowel irrigation has not been shown to have an effect. 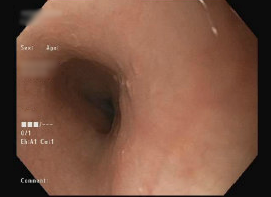 Gastric lavage is contraindicated due to risk of perforation and aspiration. The most important aspects of management are supportive care and symptom control. It is necessary to monitor for respiratory failure and depressed mental status, which may lead to the need for mechanical ventilation. Steroids have been used to mitigate airway edema, but studies have not confirmed their utility. Zofran and other anti-emetics are useful for nausea and vomiting. Fluids should be administered for metabolic derangements or losses secondary to emesis. 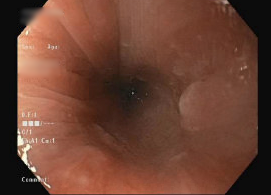 Endoscopy is important for injury staging and can help to risk stratify patients, however, many complications are delayed. 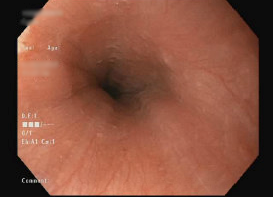 Esophageal stricture is a rare, but possible, long-term sequela. Celentano A, Sesana F, Settimi L, Milanesi G, Assisi F, Bissoli M, Borghini R, Della Puppa T, Dimasi V. Accidental exposures to liquid detergent capsules. SKIN. 2012 May 25;5:0-9. Stromberg PE, Burt MH, Rose SR, Cumpston KL, Emswiler MP, Wills BK. Airway compromise in children exposed to single-use laundry detergent pods: a poison center observational case series. The American journal of emergency medicine. 2015 Mar 1;33(3):349-51. Bonney AG, Mazor S, Goldman RD. Laundry detergent capsules and pediatric poisoning. Canadian family physician. 2013 Dec 1;59(12):1295-6. Fraser L, Wynne D, Clement WA, Davidson M, Kubba H. Liquid detergent capsule ingestion in children: an increasing trend. Archives of disease in childhood. 2012 Aug 1:archdischild-2012. Zargar SA, Kochhar R, Nagi B, Mehta S, Mehta SK. Ingestion of strong corrosive alkalis: spectrum of injury to upper gastrointestinal tract and natural history. American Journal of Gastroenterology. 1992 Mar 1;87(3). Valdez AL, Casavant MJ, Spiller HA, Chounthirath T, Xiang H, Smith GA. Pediatric exposure to laundry detergent pods. Pediatrics. 2014 Nov 10:peds-2014. Beuhler MC, Gala PK, Wolfe HA, Meaney PA, Henretig FM. Laundry detergent “pod” ingestions: a case series and discussion of recent literature. Pediatric emergency care. 2013 Jun 1;29(6):743-7. Shah LW. Ingestion of Laundry Detergent Packets in Children. Critical care nurse. 2016 Aug 1;36(4):70-5. Huntington S, Heppner J, Vohra R, Mallios R, Geller RJ. Serious adverse effects from single-use detergent sacs: Report from a US statewide poison control system. Clinical toxicology. 2014 Mar 1;52(3):220-5. Haring RS, Sheffield ID, Frattaroli S. Detergent Pod–Related Eye Injuries Among Preschool-Aged Children. JAMA ophthalmology. 2017 Mar 1;135(3):283-4. Riordan M, Rylance G, Berry K. Poisoning in children 4: household products, plants, and mushrooms. Archives of disease in childhood. 2002 Nov 1;87(5):403-6. McGregor T, Parkar M, Rao S. Evaluation and management of common childhood poisonings. American family physician. 2009 Mar 1;79(5). Anderson KD, Rouse TM, Randolph JG. A controlled trial of corticosteroids in children with corrosive injury of the esophagus. New England Journal of Medicine. 1990 Sep 6;323(10):637-40. Smith E, Liebelt E, Nogueira J. Laundry detergent pod ingestions: is there a need for endoscopy?. Journal of medical toxicology. 2014 Sep 1;10(3):286-91.